Chelsea legend Pat Nevin feels sorry for the club’s current first choice goalkeeper Thibaut Courtois as he is ‘underemployed’ as Chelsea’s form gives me little to do these days. The last time Courtois conceded a goal for either club or country was the middle of September. The record for country would have continued but for Estonia’s Henri Anier who scored when they clashed with Belgium on Sunday. Courtois exploits means that in over 14 hours of competitive football, he has allowed just one goal score. His teammates on the other hand have netted 37 goals within the same period. Courtois would definitely be feeling underemployed if the situation continues. Jose Bosingwa was part of a Champions League winning squad with Chelsea during the season of 2011-12 as the Premier League club defeated Bayern Munich in the finals in a match that was decided with a penalty session. This match was played on May 19 of 2012 at the Allianz Arena in Germany. Bosingwa played for the entirety of this encounter. The Portuguese defender received huge praise from his performance in that match as he managed to keep Franck Ribery at bay as the French defender was not able to play at his usual pace and was limited to only a few moments with the ball under his control. 3 months after this Champions League final and Bosingwa made a move to Queens Park Rangers where his career took a significant dip as he had an unhealthy relationship with the coach at that time, Harry Redknapp. When the Champions League finals between Chelsea and Bayern Munich was over, Didier Drogba later revealed that Jose Bosingwa was actually one of the most influential and key figures who made the victory happen. Ex-Chelsea defender says he is glad to play in the huge victory over Rizespor. His current Turkish club, Trabzonspor, defeated Rizespor in a 6-0 cracker on Sunday in the Turkish Super Lig. The player had missed out on club football since August last year due to meniscus tear. He returned to full action playing right, central and even left defense wing on February this year. Trabzonspor has had a string of losses and the player is very pleased with the huge victory. The 33-year old has not scored any goal in his 12 games this season. He moved to Trabzonspor from Queens Park Ranger after being discharged disgracefullu when the team relegated. Despite his relatively injury-plagued career, the Portuguese international is one of the most successful full-backs in European football. Before he arrived in England and west London, Bosingwa spent five years at Porto. He made over 100 appearances for the Portuguese side, played in the team that won the Champions League in 2004 under manager Jose Mourinho and won four consecutive Primeira Liga winner’s medals. In the summer of 2008 he signed for Chelsea after the European Championship, and was joined at Stamford Bridge by the then recently departed manager Portugal manager Luiz Felipe Scolari. The former defender of Chelsea Jose Bosingwa has made his entry once again by rejoining Trabzonspor for a period of one and a half year. The Portuguese footballer has been a renowned former player at Trabzonspor who plays as a right back. This player’s pace and his ability of getting up and down has always been a threat for the opposition. Bosingwa was released by Turkish League club last year in the month of November as he had suffered from an injury. This player has struggled quite a bit in order to get fit since the time he left Queens Park Rangers and Chelsea almost three years ago. This Portuguese player is one of the famous full-backs despite of his incomplete career which was due to his injury. He has recovered from his injury and all geared up to join back Trabzonspor as per the news which was made official on Twitter. 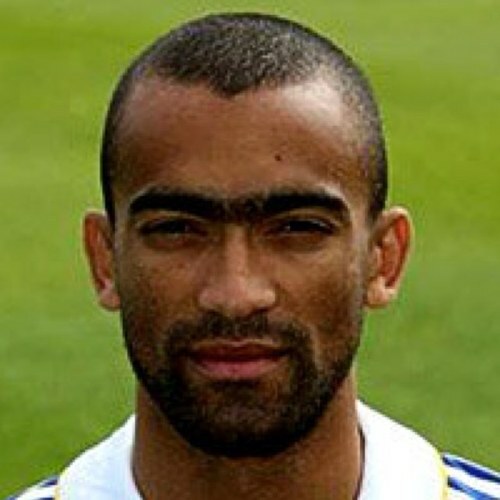 Bosingwa had spent around five years in Porto before he arrived at west London and England. The fan followers of Jose Bosingwa are quite large in numbers and they are all anxiously waiting to watch his performance at the Turkish club. Although the rejoining contract is for about 18 month, it may be extended depending on the performance and contribution of this Portuguese footballer.